The T-Shirt Gatling Gun has quickly become the pinnacle of game day and concert entertainment. If you are looking for the most popular person in the stadium it’s not the athlete on the field or the musician on the stage but instead the one with the t-shirt air cannon. Not only is it entertaining, but it is also one of the most cost effective ways to build your brand. Yes, it is possible to provide entertainment while at the same time building brand awareness and gaining free advertising in the way of your fans wearing apparel printed with your logo. 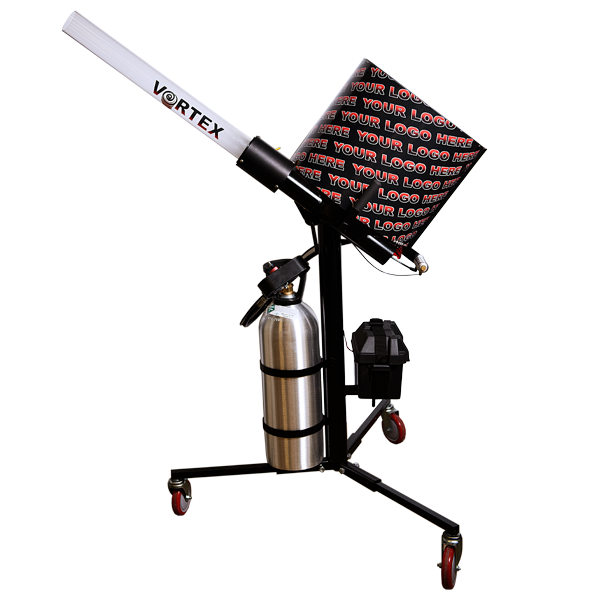 While t-shirt cannons are the most exciting way to deliver these products, the granddaddy of them all is the T-Shirt Gatling Gun. 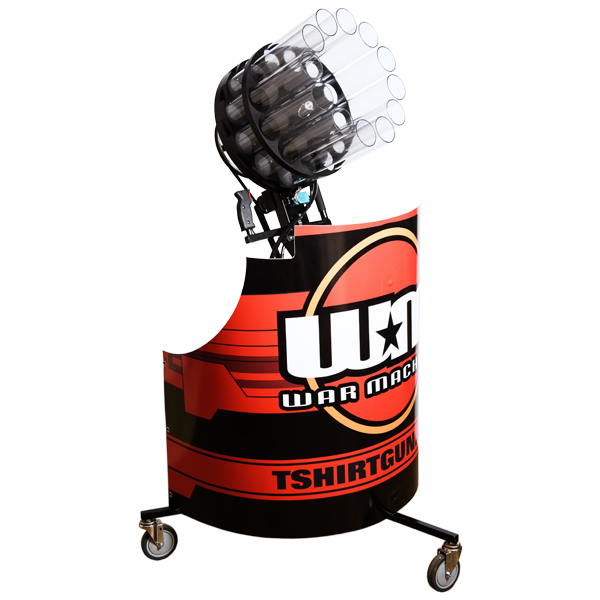 Our T-Shirt Gatling Guns have been blasting shirts into crowds for almost ten years, as we are the original creator of the product. Our cannons are engineered with that specific purpose in mind. Our parts are designed and machined in house to the highest safety standards. You won’t find any PVC or standard Home Depot bought re-worked parts on our cannons. Beware of the models that use parts not specifically designed for use in these conditions. From the aircraft grade lexan barrels to the electronics, every single part of our cannons are tested before ever leaving our manufacturing facility. 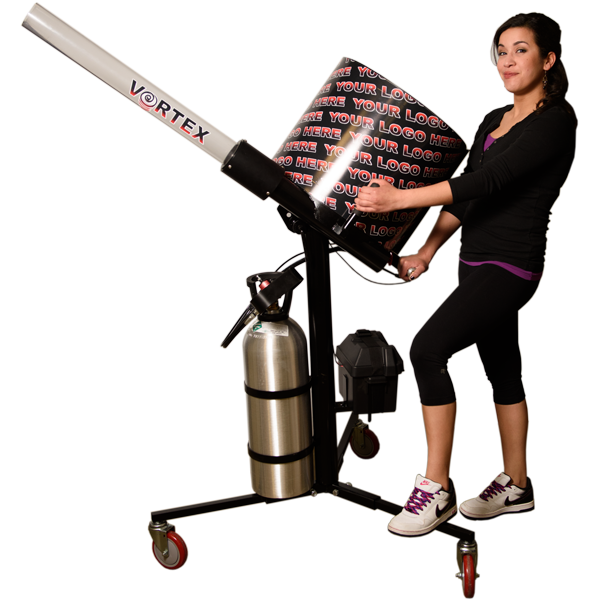 All of our cannons are customizable to meet your needs. Whether it involves custom fabrication to fit a particular installation (for example a vehicle mount) or custom printed add ons that inspire that your brand is seen, we are happy to help. If you are looking for a new and exciting way to boost revenue for your brand, team, or sponsors, look no further than the T-Shirt Gating Gun. Let our team help your team. We can’t wait to hear from you. Give us a call today! Have questions? Wanna know more? Give us a call at 864.349.1500 and one of our sales associates will be glad to talk with and answer any questions you might have.